“Given the sector added over 220 emergency beds in Dublin in late 2016 and has worked constantly to increase housing ‘move ons’ we had hoped that the figure would not be on the increase” – Pat Doyle, CEO. The Peter McVerry Trust has expressed disappointment that there were 138 people sleeping rough on the streets of Dublin when counted this month. The latest count shows a drop of four people since the winter count. However, there was an increase of more than 30 per cent since the same period last year. “We are obviously disappointed with the latest count. Although the number is down since the winter count in November, it is up 35 per cent on spring 2016. Given the sector added over 220 emergency beds in Dublin in late 2016 and has worked constantly to increase housing ‘move ons’ we had hoped that the figure would not be on the increase,” said Pat Doyle, CEO of Peter McVerry Trust. 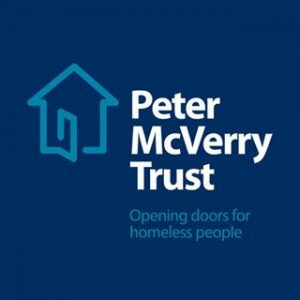 The Peter McVerry Trust plans to redouble its efforts to respond to rough sleeping. “We will be making every possible effort to increase the availability of housing in the coming months. 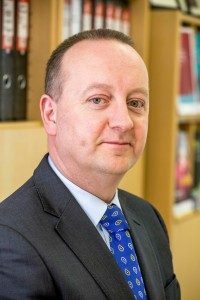 Getting people into housing means we can enable the housing first team, who are engaging daily with rough sleepers, to place and support people in their own homes,” he said. He explained that more housing will also free up beds in existing emergency accommodation services for rough sleepers willing to go to hostels. This latest spring rough sleeper count for the Dublin region was carried out on the night of 4 April and the morning of 5 April. Rough sleeper counts are carried out by officials working on behalf of the Dublin Regional Homeless Executive (DRHE) twice a year. This count found that the majority (72 per cent) of rough sleepers were within the Dublin City area (north and south). The remaining 28 per cent were found in other Dublin areas including Fingal, South Dublin and Dún Laoghaire. The last count was carried out in November 2016. In the 2016 spring count 102 people were found sleeping rough. The highest count of rough sleepers was in winter 2014, when 168 people were found sleeping rough on the streets of Dublin. Of the 138 rough sleepers in spring 2017, some 85 had previously accessed homeless services. Seven people had never accessed services and there was little information about the other 46 people. There were actually more than 138 sleeping rough on the night of the count, as there were also 57 people sleeping in the Merchant’s Quay Night Café on mats on the floor. That brought the total to 195 on the night. Another 186 people had beds in emergency hostels, booked through Homeless Freephone and Dublin’s Housing First. There was also another group sleeping rough on the night – a group had arrived from Romania and were seeking or had been promised work. They have since returned home. Given the total numbers, Pat Doyle stated that some of the 33,000 empty homes in Dublin could be a solution. If only 200 were put back into use quickly, rough sleeping in Dublin could be eliminated. “The recent commitment by Dublin City Council to prioritise homeless individuals for empty homes brought back into use under the repair and leasing scheme will, we hope, mean that we will begin to see an increase in social housing options and move ons out of homelessness. If we can get empty homes back into use quickly then we can begin to get people off the streets and begin to reduce the rough sleeper number,” he said. 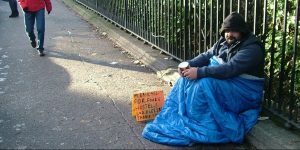 He added that other Government departments such as Social Protection, Justice and Health should urgently intervene to prevent people becoming homeless in the first instance.